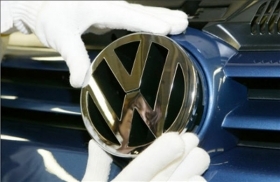 VW also has received a 400 million euro loan from the EIB. Volkswagen has taken 2 billion euros ($2.5 billion) of credit guarantees from the German government's bank rescue fund. VW said that the guarantees will refinance car loans and secure credit lines to dealers and customers. "The guarantees allow us to assure credit availability to our dealers and final customers, thus helping to alleviate the effects of the financial crisis," Volkswagen Financial Services CEO Frank Witter said in a statement. The 27 member states of the EU are shareholders of the EIB.